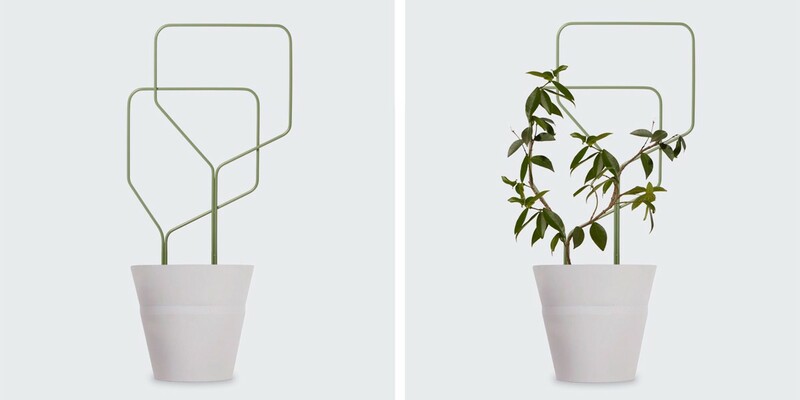 Lipa is a set of 2 steel plant trellis created by the Dutch Studio Macura. 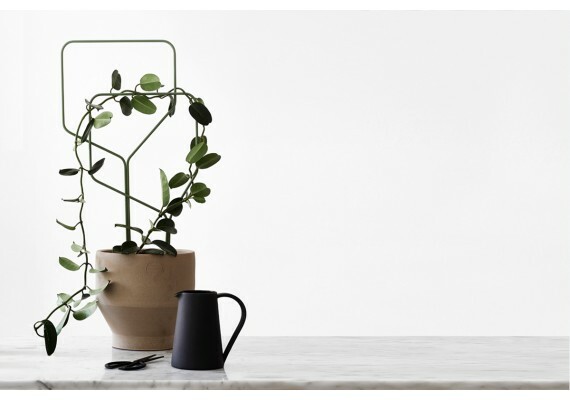 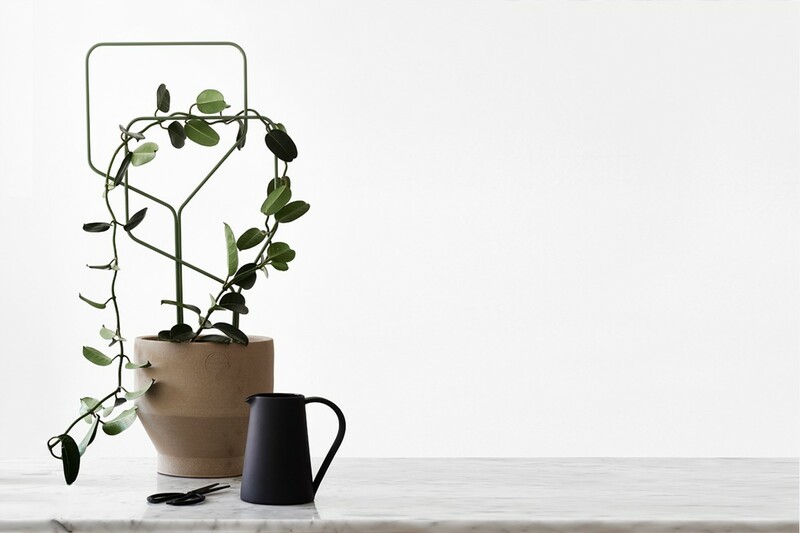 Their intention was to create a framework in an abstract plant shape, in this case two trees, so that the framework is also an asset to your interior when the plant that grows around it is still small. 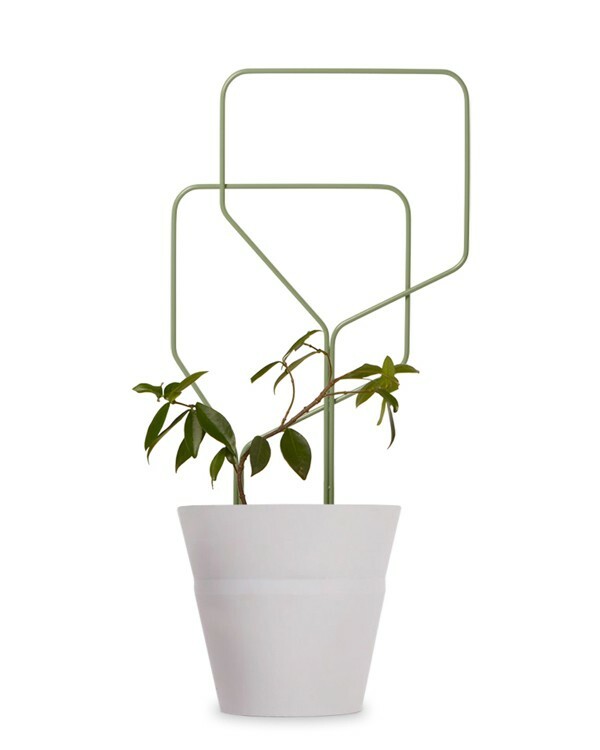 This steel trellis is powder coated with an olive green matte color. 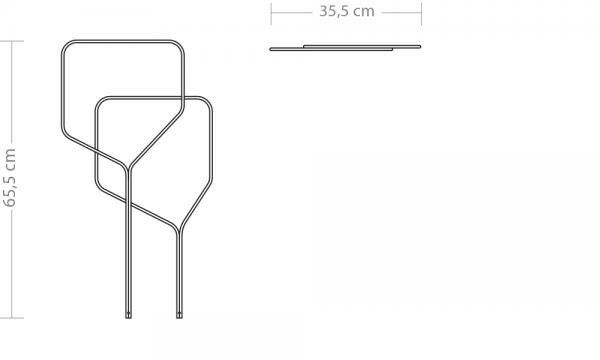 In this set the largest trellis is 65.5 cm high.